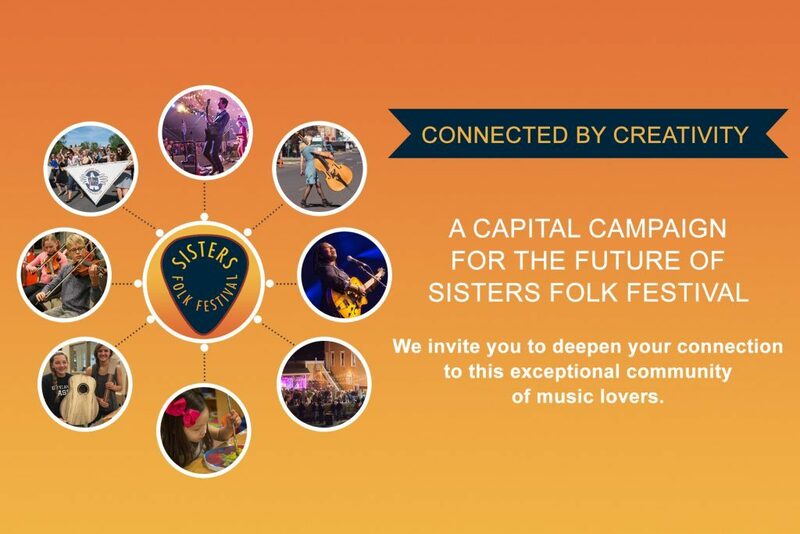 Donate here to the Capital Campaign and be a part of Sisters Folk Festival’s future. Sisters, Oregon. There are big reasons to love this small town. It’s a community treasured not only for endless outdoor opportunities but for a vibrant creative culture. For two decades, Sisters Folk Festival has built a national reputation for Sisters as a community where the arts are valued, celebrated and accessible to everyone. 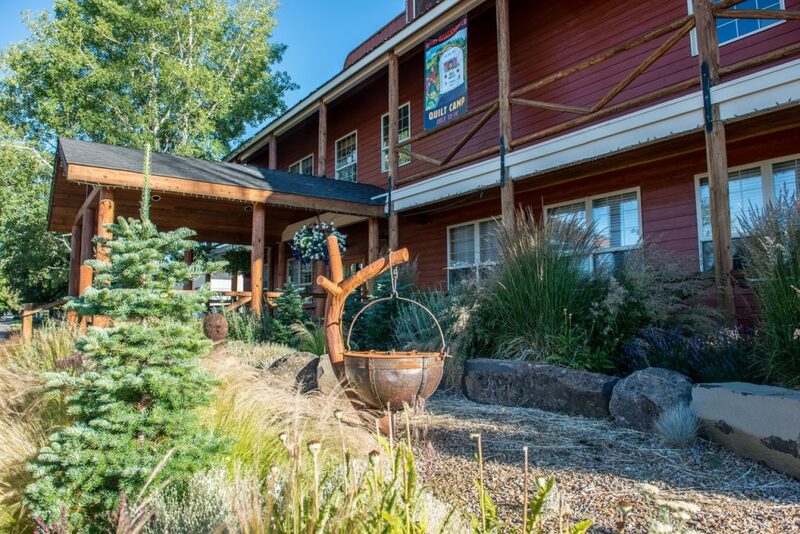 Connected by Creativity means taking the region to new levels of excellence, through strategic investment in a permanent facility and a programming vision for Sisters Folk Festival. 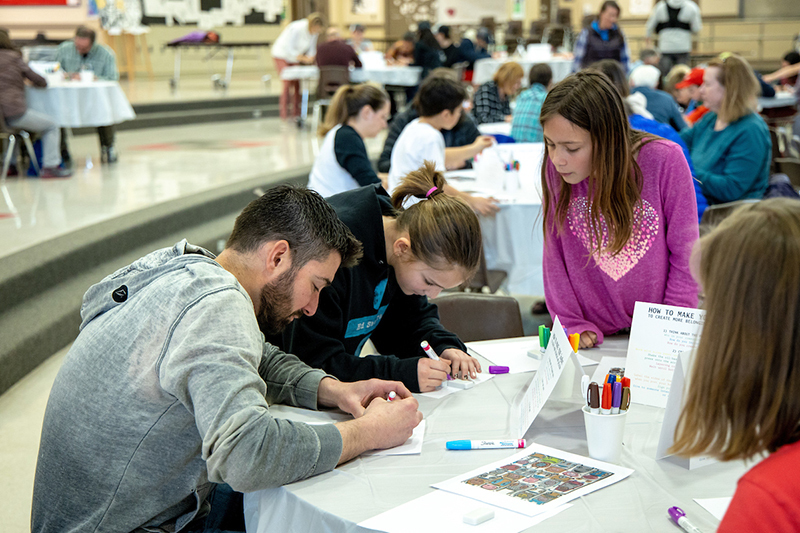 The Connected by Creativity campaign builds on a remarkable history of success to create a future of special opportunity in an extraordinary and uniquely Oregonian place. Encouraging learning and personal growth for a multi-generational audience through enhanced programming, such as afternoon/after-school programs, youth and adult music education and instrument lessons, Americana roots music presentations and resources, SFF media/recording center, podcasting, and jam sessions for advancing students. Making a great region to live in, powered by a creative spirit, and bringing people together through a shared love of music and arts, fostering engagement with people from a broader spectrum and diversity through engaging community events, such as concert performances, songwriting camps and classes, dance and theatre, film screenings, art gallery shows, receptions, literary presentations and more. Drawing local, national and even international visitors to exceptional music events; giving Sisters a large reputation as a small town with a vibrant music and arts culture by creating opportunities for greater community collaboration and partnerships with other arts organizations, local merchants, non-profits, parks and recreation, artists, residents, restaurant and lodging entities that provide additional business year- round and more. Cost of $62.50 per s.f. Ownership will immediately increase the stability of Sisters Folk Festival and will open opportunities to increase community programming impact. A portion of net income will be allocated annually to a Building Fund for future repairs and upgrades. The remainder can be reinvested in program development and reserve funds for stabilization. 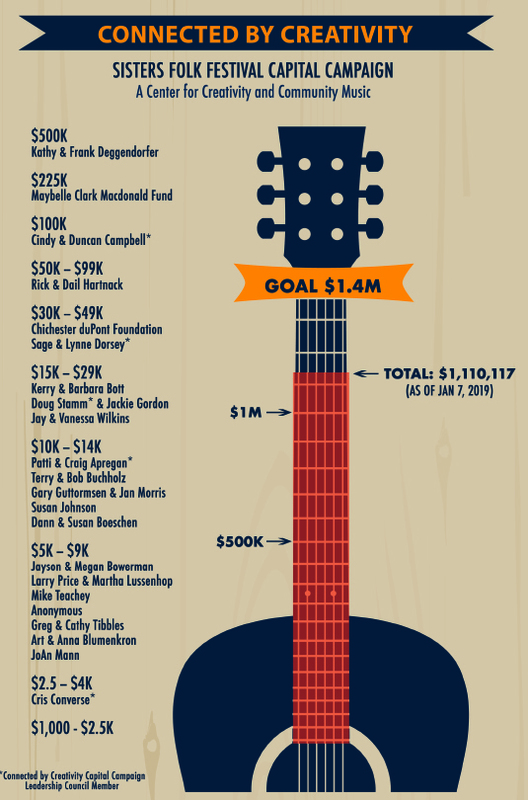 Sisters Folk Festival has succeeded by developing a blend of programming that is self-sustaining through a combination of ticket sales, donations, sponsorships and event proceeds. While the new building will create opportunity to grow, the organization can stick with a trusted formula of sustainable growth. Foundation grants will continue to play a role in launching new programs that may take a few years to stabilize. 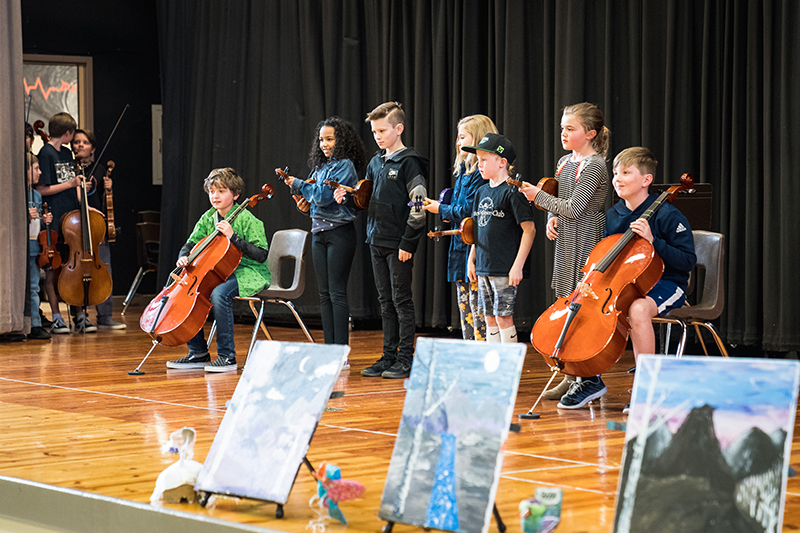 Annual music education event to draw artists and participants to Sisters each spring. Add community music/arts events to the annual calendar, both in Sisters and in diverse Central Oregon communities. Provide and promote gathering space for multi-disciplinary music/art gatherings, such as drumming circles, ukulele club, quilting and other crafts. Multi-generational workshops, lectures and classes.